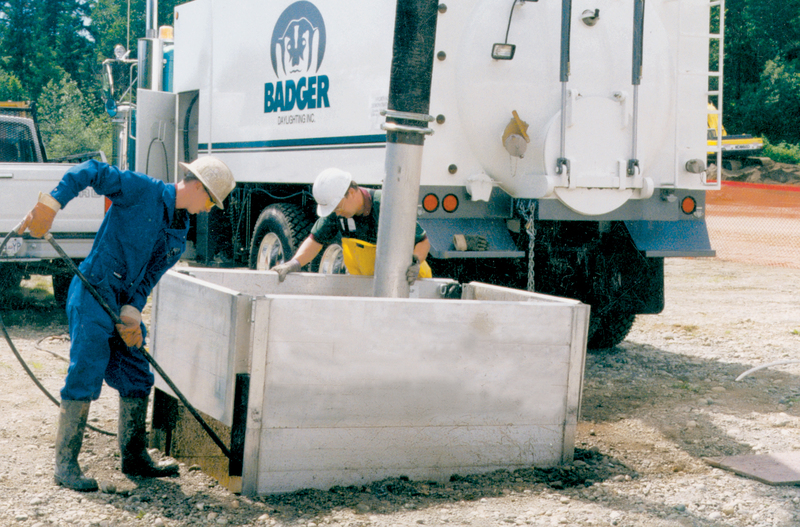 Badger Assisted Shoring System - BASS - Badger Daylighting™ - Shoring and Trenching Products serving Edmonton, Alberta & Western Canada. BASS is a new concept in subsurface workspaces – the installation of shoring by Hydrovac. 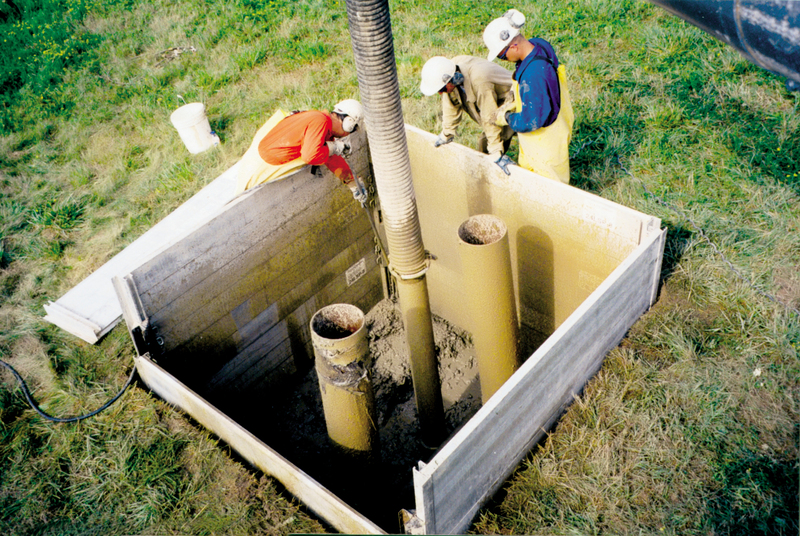 The BASS process begins with the Hydrovac safely daylighting the buried line and confirming its location.The Hydrovac then pulls material from inside the cage to sink the shoring in place securing the walls of the excavated site tightly against the surrounding soils.